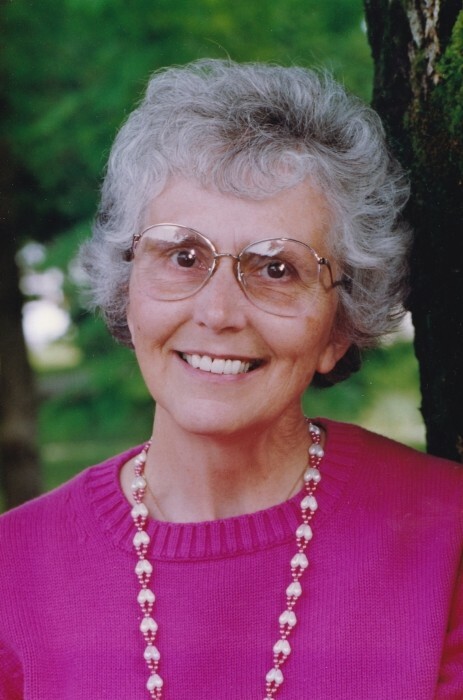 Lois Marie Boren, a longtime Winona Lake, Indiana resident, passed away at 9:30 p.m. on Monday, July 2, 2018 at the age of 86 in Gettysburg, Pennsylvania. She was born on January 12, 1932 in Chicago, Illinois to Ernest and Florence Herzog. On December 13, 1952, she was married to Charles Edward Boren. She was kind, generous, and soft spoken. She always put the needs of others ahead of her own. She raised her three children while her husband was busy traveling as an evangelist. In her later years, she was known to many residents of Winona Lake since she spent a lot of time walking her dog in the village. She will be lovingly remembered by her brother: Ernie (wife Terry) Herzog (Romeoville, Illinois); sister: Carol Herzog (Chicago, Illinois); her daughter: Martha (husband Bobby ) Housch (Gettysburg, Pennsylvania); son: James (wife Loida) Boren (Apex, North Carolina); daughter-in-law: Patti Boren (Winona Lake, Indiana); along with 8 grandchildren and 11 great-grandchildren. She was preceded in death by her parents and her husband along with sisters: Susan Herzog and Doris (husband Robert) Orr; and son: John Boren. A graveside service will be held at Oakwood Cemetery in Warsaw, Indiana at 11:00 a.m. Tuesday August 28, 2018 . Local arrangements were entrusted to Redpath-Fruth Funeral Home, 225 Argonne Road, Warsaw, Indiana. Memorial donations may be directed to Pacific Garden Mission, 1458 South Canal Street, Chicago, Illinois 60607.